Most people have the misconception that basketball can be played with regular sneakers, which is incorrect! Basketball shoes provide the right foundation for the player to perform their skills without any hindrance from the shoes they are wearing. Choosing the best basketball shoes may be confusing because there are so many options. This article will help guide you on how to buy the perfect shoes for your basketball games. 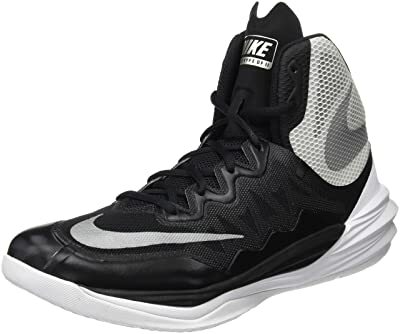 Here you will find everything you need to know about basketball shoes so that you can get acquainted with the features of the shoes that you are about to purchase. 3 What Makes Basketball Shoes Different from other Sports Shoes? Inspired by basketball players these shoes are from the Adidas Cloudfoam series. A quality shoe with adequate support and ankle stability that can perform both indoor and outdoor activities. The product comes with a reasonable price and in colors that range from black with white stripes, white with black stripes and also gray. The outer material is made of leather with a rubber bottom sole. The shoe is available in many widths. Good cushioning is provided in the inner area while the bottom of the soles provide traction. The sock liner also provides security between the feet and shoe. The three stripes of the Adidas logo can be found on the side. Perforations are also there for ventilation. Air mesh for ventilation can be found on the front, rear and collar of the shoe. Cloudfoam and very comfortable and provide cushioning in the middle. Reasonable space in the toe area for good fitting and sizes can easily be changed. Do not crease and have a removable insole that can be replaced. Lightweight, provide ankle support and have a good arch for balance. The soles on the bottom are found to be ripping off after a few days/weeks of play. 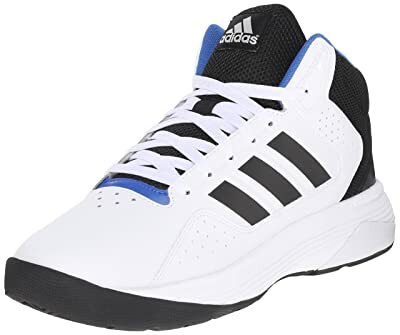 These full-length basketball shoes have energy boosters with an added lift for higher jumps and a new lace system to reduce tearing. These shoes are aimed towards professionals. The shoes are made from textile and synthetic fabric with a rubber sole on the bottom and xeno top. The shaft measures from mid top to arch. These shoes weigh around 397gm. They come in a variety of colors; from red, blue, greens and black. The features include a Geofit bootie that enhances the fit and comes with the cushioning and traction. There is a new four loop lacing system with a TPU cage wrapped around the midsole that is for securing and breakage. The lockdown technology used in these shoes is laces that go up to the ankle. The cushioning inside is soft and comfortable, provides impact protection and responsiveness. Lightweight with excellent traction, the outer soles have coral patterns that improve grip. Extra boost caused by the uplift in the midsection. The TPU cage in the midsection allows sustainability to the fore section. Good ankle and knee support. The outer soles start to wear off after play outside and can peel. The laces’ eyelets have the potential for breaking after time. 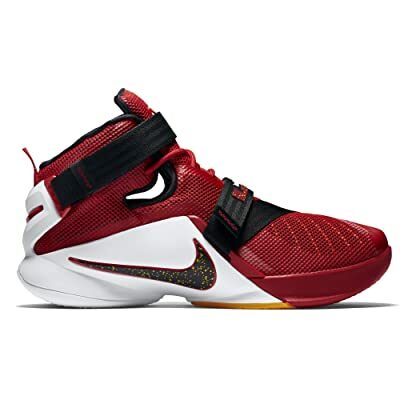 The Nike Lebron Soldier Xi, from the signature series of Lebron James with versatile features, includes a laceless design. These shoes are solely for the basketball addicts. The shoes are made of synthetic fiber with a rubber sole, the shaft measures high top from the arch. These include great cushioning for comfort and have an inner sleeve/mesh to keep the airflow maximum. The lockdown system includes straps. The midsoles have zoom technology and Phylon. The external heel counter is also made of rubber for grip. The shoe is endorsed by Lebron James and has a logo on the insole, outsole and heel counter. The zoom technology helps absorb impact and reduces stress to the knees and muscles. Triangular traction provides excellent grip. Laceless design provides ease and saves time. Includes extra plush and comfort. The Swoosh on the shoe starts to peel off after usage. They are a little heavy and bulky. The Nike Prime Hype DF 2016 are the basketball shoes with the latest cushion system and are from the series of Nikes Hype DF. These shoes are remodeled into a newer version. Although they have a pattern similar to the Nike Hyperdrunk 2014, they perform differently. The shoe exterior is phylon mainly with rubber bottom soles. The shoes have air mesh for good ventilation. The shoes fit true to size. The shaft measures up to 2.5 inches from the arch. The collar is de-coupled allowing more ankle movement. The lockdown technology used in these shoes are laces that go up to the ankles. The anatomical sole provides traction. Dual density foam technology is provided for responsiveness. There is ankle support on the top. The material is flexible and soft. The color range is vast with these shoes. The breath tech provides substantial air flow. Excellent shoes for the indoor and outdoor activities. Found to have less traction by some users. The Nike men’s Air Overplay IX can be worn on any type of ground and are equipped to stand any kind of landing, are lightweight and can be worn for games or casually. The shoes are made of synthetic fiber with mesh layers and suede soles. The inside has a breathable textile lining. The bottom sole is of rubber with tread patterns. These shoes provide padded tongue and color for support. Shaft measures at the mid-top of the arch. The heel is encapsulated providing an air cushion for impact.The upper construction of the shoe comes off and is durable and flexible. The color variety of these shoes are black, grey and white. The air logo is present on the sides. Under Armour are a true symbol of quality and comfort when it comes to high-end fitness products. Their commitment to health and improved fitness makes them a well-known brand in the fitness community. The Curry 3 Basketball shoes are a true nod to the quality that Under Armour represents. They provide remarkable traction, the herring pattern on the base of the shoe makes every step firmer and increases grip. They are great for outdoor use because of the thick high-quality rubber. They are incredibly comfortable with an ortholite insole that adds to the step comfort of the shoe. It is made using lightweight material that conforms to the shape of the foot so that it begins to feel like a shoe custom-made just for you. The lateral part of the shoe has been made with a material that provides high tensile strength and secures the foot during sharp turns. They provide plenty of support with the midsole sculpt. It also has a phenomenal torsion support. Front of the shoe may be too constrictive. Under Armor is an organization that is all about fitness and competitive performance. 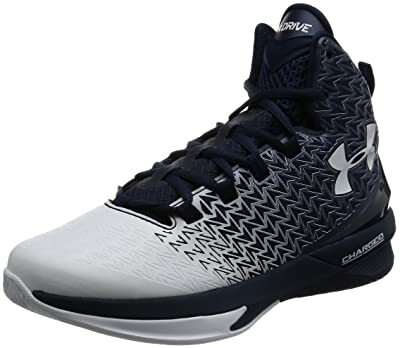 The UA ClutchFit Drive 3 shoes genuinely are an extraordinary addition to the other basketball shoes on the market now. 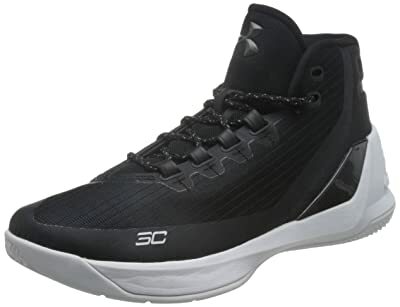 The ClutchFit Drive 3 Basketball shoe highlight added bolster that makes your foot secure inside the shoe, the sidelong and foot bolster make the shoe inconceivably agreeable and comfortable. It additionally has a charged padding for amazingly quick responsiveness and impact security. It is the best shoe for players that should have the capacity to surge, past protectors, be light on their feet and have the capacity to alter their course instantly. These movements of spryness and speed are very important and are able to be performed well with the right shoe. The lower leg dependability is also extraordinary at providing support to the player. The ClutchFit innovation gives a breathable yet cozy upper portion that conveys both security and support. The further expansion of the Achilles cushion provides heel bolster. The herringbone example of the outsole gives better footing on all surfaces for extreme footing and control. However, individuals have had issues while trying to put them on. Adidas is a name well known for high-quality products that deliver perfection and precision. And this shoe is no different. It delivers on the standard that we have come to expect from any product with the Adidas label. The Adidas Performance Men’s Crazylight Boost Low is known for the remarkable speeds they provide. They are lightweight low tops that make each step lighter and easier to take. They further have a midsole that provides a pump for every step. This makes sure that you have to put less energy into steps and so you tire out later than normal. The heel cup of the shoe truly delivers great support to the heel and produces a great lock on the foot. The upper of the shoe offers a bold look that looks phenomenal and gives you confidence. It further features a lining on the inside of the shoe that provides cushioning and comfort to the foot. They have a lightweight design. Features allow for greater speeds when running. Heel cup works to secure the heel. Provides mid-foot stability for less fatigability. The eyelets are quite weak and break after a few uses. Adidas has a long history in the sports world and they are a big name that is associated with quality. 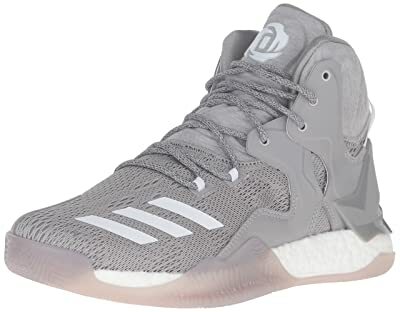 The Adidas Performance Men’s D Rose 7 Basketball shoes are a tribute to Derrick Rose and his demeanor that dependably said never-break. The D Rose 7 Basketball shoes accommodate simple breathability and ventilation. It has a padded insole that further demonstrations stability and gives a delicate surface for the feet. It is a great shoe for repetitive impact and movement. The shoes have an agreeable design that enables you to move with assurance and certainty that provides solace and style. The D Rose 7 Basketball shoes give the lower leg and heal bolster. This keeps your lower leg secure when moving around the court. The formed neckline of the shoe gives a dynamic fit regardless of whether a support is included in the general mish-mash. This gives support and keeps your lower leg firm and secure. It has a lightweight feel that adds to the performance of the player, enabling them to play better, make longer strides and work for a longer time. It additionally has an outer sole with an upgraded design that gives strong stability and dependability. 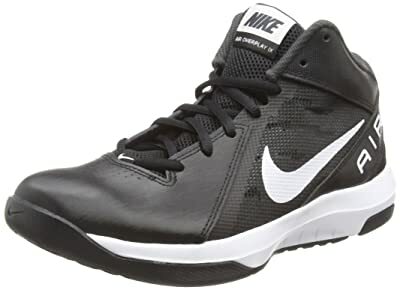 The quality and solid jumping capacity given by these shoes additionally make them a great option for basketball shoes. Individuals have had some issues while attempting to lace them. Nike is a name associated with brilliance. The quality is noteworthy and highly recommended. The Air Versatile shoes are best known for their ideal outsole which gives amazing solace and footing on all courts, regardless of whether the court is indoors or outside. The outsole is likewise ideal for any style of play or any position you play. The insole gives padding to the rear area that keeps your feet fresh and gives a light feel to the shoe. The padding impact of the air bottom is very essential, particularly when making hard arrivals since it protects your feet and lower leg from any injury. The interior work is additionally incorporated into the tongue of the shoe that additionally gives an airier and more agreeable feel. The padded sole molds to the foot while the marginally bring down rear area work for a superior foot act. The shoe has an exceptionally up-to-date look, guaranteeing you a few compliments from your teammates. This is a shoe most appropriate for forwarding position players since it highlights the skills that are required for this position, especially in regards to balance. High Top – high top shoes wrap themselves around the ankle to ensure that you get maximum support and stability. They are usually heavier than other types, but they work well for people who are a little bulkier and play aggressively. These shoes cover the ankle to provide extra support. The key to getting these shoes right is to ensure that you get the ones with the most circulation. Mid-Top – mid top shoes are what the name suggests, not too high or too low top shoes. They provide ankle support yet are not too high and the weight of the shoes is only slightly heavier than low tops. They are highly flexible which is why they are used by many all-rounder players or for ones who have an average body type. These shoes will not give you as much support as the high top but they will be covering the ankle for stability. They usually have enough ventilation for players. Smaller players and slimmer players like to go for these shoes since they find them the most convenient. The only drawback to these shoes is that they provide less support on the ankle, hence players are more likely to depend entirely on themselves and they are more likely to be injured. What Makes Basketball Shoes Different from other Sports Shoes? The difference between basketball shoes and other sports shoes is a very common question. There are many differences, starting with the weight. The weight of the basketball shoe is made much lighter since the users will have to jump and sprint wearing these so having shoes that act as anchors on the feet will make it difficult for users to play without hindrances. The next difference lies in the structure of the basketball shoes. The structure and design differ because it is made in a way to ensure that the player can sprint in any direction and the weight of the body is easily shifted to any direction without being stopped by the shoes. The material of the shoes is used to ensure more durability and more versatility to move around anywhere without breaking them. Another difference that we can find is in the mobility of the ankle. Since the players need to move around with more power and more effectively, they need shoes that do not restrict their ankles; the restriction will cause the ankles to break. Basketball shoes provide ankle stability and allow them to be moved easily without causing any injuries. Padded soles are usually found in basketball shoes for convenience and protection. Finally, the soles of basketball shoes are different compared to the others. The sole of the shoes provides the foundation for the player which is why they need to be selected based on the pressure placed on the right points. The basketball shoes’ soles are not soft so that the player will not sink into the sole. This feature also ensures that the weight remains controlled and the shoes remain air like. Choosing the best basketball shoes for you is very significant. The reason behind this is that they act as your foundation and allow you to be more focused on your skills with your foundation being set by shoes. Our buying guide is made to ensure that you do not leave any important feature out when you finally go to buy the best pair basketball shoes for you. First and foremost, you need to pick the sole of your shoes to make sure that they are comfortable and have the right base. There are two sole types that you need to look into to ensure that your shoes remain comfortable and help with speed, shots, and jumps. The following are the two types of details to use. Midsole – The midsole is the cushioning spot for the shoes which is why they are one of the most important parts of any pair of shoes. They can be made with any kind of foam; however, the most popular and effective foam is the EVA foam. There are different types that include the EVA compressed foam, polyurethane, or even a fusion of both the foams. If you go for EVA or compressed EVA, you will be getting lighter options; going for polyurethane means having more dense options and more durable shoes. The cushioning is also usually focused upon the forefoot and the heel. These allow the feet to remain more comfortable along with the pressure points being targeted and allow better circulation and reduced stress on the feet throughout the game. For added cushioning and balance, some shoes also have a cushion in the middle, and this feature ensures that the player remains stable throughout the game. The right amount of cushioning for basketball players is a moderate to thin layer. Outsole – The outsole of the shoes is the outer part of the shoe that is in contact with the surface that you are playing on. The outsole is either made of rubber or with synthetic materials. It is responsible for the traction with your shoes. The outsole should ideally be flat and wide so that the user is provided some balance from the foundation. The grip can also be increased with the different types of patterns that are on the outsole. 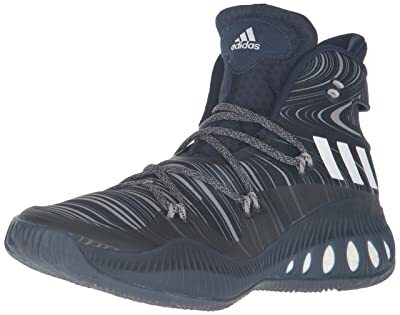 Most basketball shoes are made for the indoor court; however, if you would like it for an outdoor court, then you will have to consider more rugged options for an outsole since rubber and synthetic materials are more likely to wear out sooner. You might think that this is an irrelevant point because of course, you will find the shoes that fit you; however, in this case, your fit matters a little more than regular sizes. The style of the basketball shoes is different which is why your size may be a little different than your street shoe size. The best way is to try on the shoes and select the ones that suit you the best. The first and most essential feature to pick your size is to choose between narrow and wide shoe fit. The size of the shoe should fit about half a size up since it accommodates your socks without being too tight and cutting off circulation. Keep in mind that the shoes will also stretch and be broken into. Another very important factor is to ensure that your shoes are well ventilated and that they can breathe. The most common problem in many basketball shoes is that they tend to get hot and stuffy which distracts the players. Shoes with some sort of mesh allow the shoes to have ventilation and better air circulation that will keep you cool and also reduce any smells. The tongue and collar of the shoes are very important for support and to reduce chances of injuries in the fragile spots of the foot. Cushioned ankle supports the collar of the shoe are made to ensure that if your foot twists, the injury could be prevented. The tongue had the same job for the upper part of the foot. These features are both essential for support. After reading this article, you should now have an idea of how important it is to choose the best basketball shoes. There are so many features that need to be taken into account other than just comfort and style. When you go to make your purchase, keep in mind all the things that have been discussed in this article. It is also very important to remember that unless you are buying magic shoes; your performance will not get magically better. Hard work is the key and the shoes will just help you support your hard work and help with your skill levels. 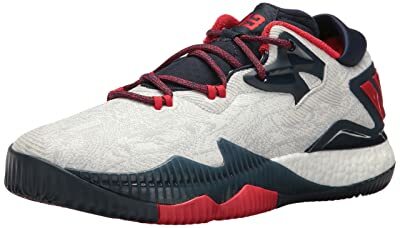 can you help to choose the best basketball shoes for my kid? Best Smartwatches 2018 – Apple Watch vs Android Smartwatch? Best Noise Cancelling Headphones 2018 – Wireless vs Bluetooth?